Because of the nature of microservices, you will most likley have a large number of APIs documentted. In order to give your developers the best user experience possible, you might find it necissary to set the order of the APIs listed in your partals /docs/apis page. This guide will take you through how to assign those pages numbers, and suggest a good workflow. To get started, log into your Devloper Portal admin account. Once there, click the APIs Docs link from the navigation bar. Directly to the left of the name of each API is an edit button. Click that button (being cautious not to click the edit button next to the version number). At the bottom of the page is a field called Display Order. Enter in the order number you would like this API to be in the list. The Display Order field will always show as blank even after a number has been assigned. 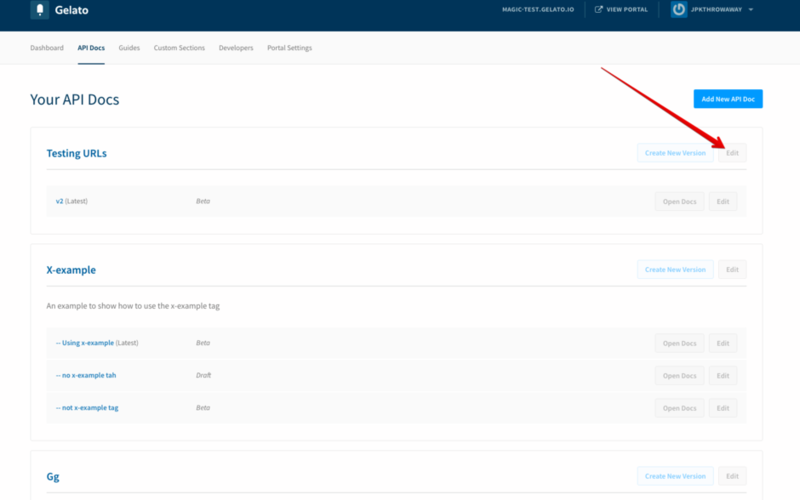 After you have assigned a sort order, you are brought back to the APIs index page, but the order on the administrator page will not update. Only on the site accessed by the developers will there be a change. Before you begin, decide what position you want each API to be in (1,2,3,...). In Admin, go to each API in order, and assign Display Order. View your portal to verify the order. 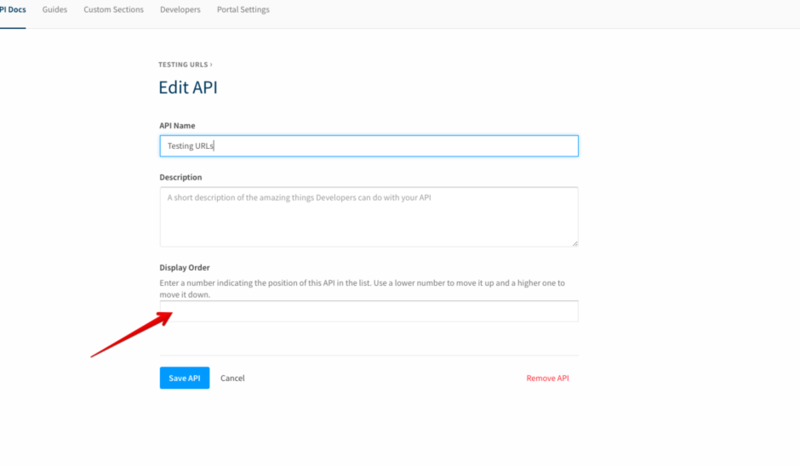 Alternatively, reload the APIs page in Admin after you have made your changes. If you make a mistake, you can fix it by adjusting just the display order of the API that is in the wrong place. You don't have to renumber all of them.